Russian director Kirill Serebrennikov’s Palme d’Or contender musical Leto is set among key figures dominating the early 1980s rock club scene in St. Petersburg. Initially fun and lively, it runs out of puff way before the end. “Soviet musicians must find all that is good in humanity,” the jobsworth committee chairperson of the local rock venue tells a bunch of youngsters pushing their luck. The issue is lyrics and what they mean. Over in the decadent west, pop stars could sing about everything from drug addiction to shagging, but those behind the iron curtain were forced to put up with the rigid barriers laid down by Soviet ideology and most topics were absolutely off the table. The fact musicians had to join clubs in order to perform, with patrons sitting down on chairs like it’s a school assembly and forbidden to dance, seems bizarre and entirely antithetical to the purpose of music – which taps into our primal urges of self-expression and motion. Until the fall of the Soviet Union in 1991, citizens yearning to openly rock out were living Footloose for real. The film’s use of fourth-wall-breaking fantasy sequences captures this pent-up desire to pogo like a habitué of CBGB’s and publicly scorn the communist regime for keeping them down. Serenbrennikov’s decision, however, to rotoscope these scenes unfortunately brings to mind A-Ha’s Take on Me video, though given the eighties setting it might well have been entirely intentional, forming part of the nostalgic fabric of the filmmaker’s concept. At 126 minutes and without a compelling enough narrative, the film flounders into repetition, though its themes of the individual versus the state are potent and poignantly drawn. However, instead of offering a Ramones-type short, sharp and to the point blast of sound and bopping fury, the running time feels indulgent, bloated and unnecessary. The main plot – which is wafer thin – involves the older and established Mike (Roman Bilyk) taking protégé Viktor (Teo Yoo) under his wing and soon enough the youngster outgrows his idol and emerges as the next big thing. Victor also gets involved with Mike’s missus, Natasha (Irina Starshenbaum), though he’s remarkably chill on that score. 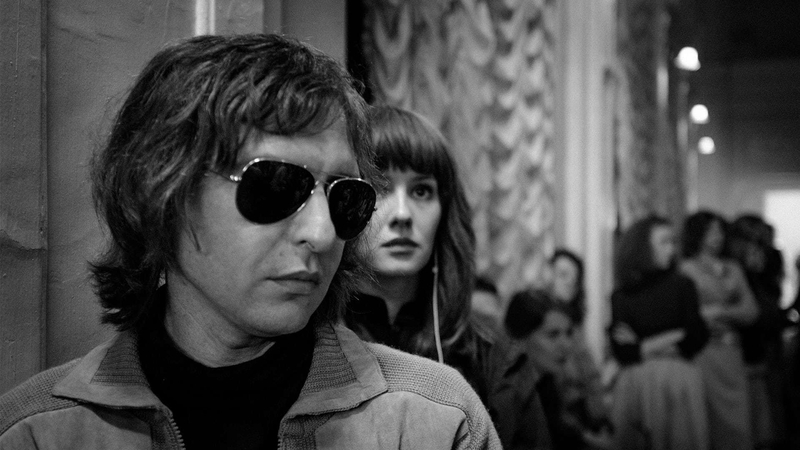 The creamy monochrome cinematography (there is occasional use of 8mm colour photography) and prowling Steadicam make Leto engaging visually and Serebrennikov – who is currently under house arrest on corruption charges in Russia – has a great eye for composition and crafting a set piece, but the meandering pace and loose approach to storytelling makes his second feature akin to an album front loaded with banging tunes and the rest is filler. It’s basically The Killers debut, then.